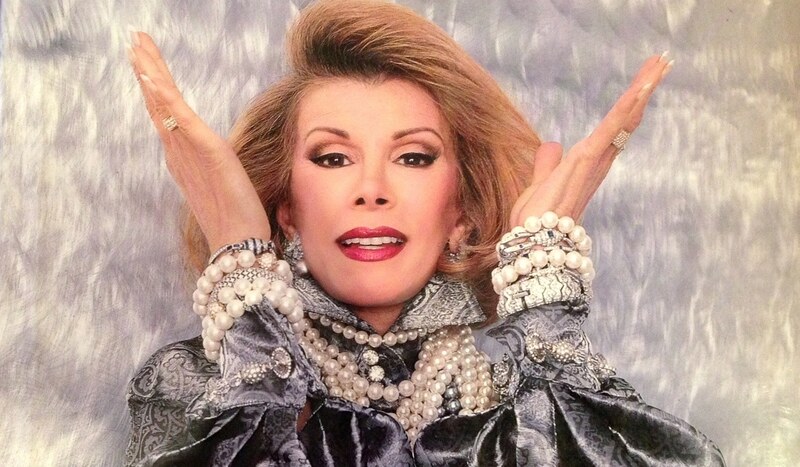 Joan Rivers adored jewelry. That much was obvious; whenever you think of her, you think of the bold glitzy statement necklaces or bejewelled fingers (and not just the middle one!). But few knew just how serious and knowledgeable Joan was about jewelry. Even as a child, she would spend hours drawing pictures of women their faces framed by lavish earrings. Sketch pad in hand, she would experiment with drops, buttons, hoops; on long necks, she’d draw diamond chokers, strands of pearls or simple pendants. Her former husband, Edgar Rosenberg, was a connoisseur of fine gemstones and throughout their marriage, indulged her passion. Joan’s personal collection included everything from a necklace of Fabergé eggs (which once belonged to Queen Marie of Romania), to a brooch (enormous red tourmaline encircled by a diamond snake) given by Edward VII to his mistress. In 1990, she launched the Joan Rivers Classics Collection on QVC, after finding herself outraged at the price of costume jewelry: “Does well-made costume jewellery have to be pricey? Isn’t there some way, without taking a second mortgage on her home, that a woman can own beautiful jewelry to wear, cherish, and pass along?” Her first line sold out in hours and thus began a successful 24 year collaboration with QVC. 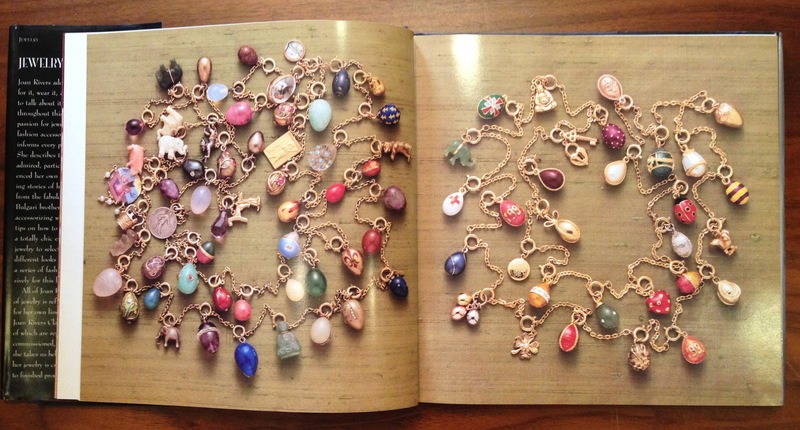 In 1995, Jewelry by Joan Rivers, was a best selling book. 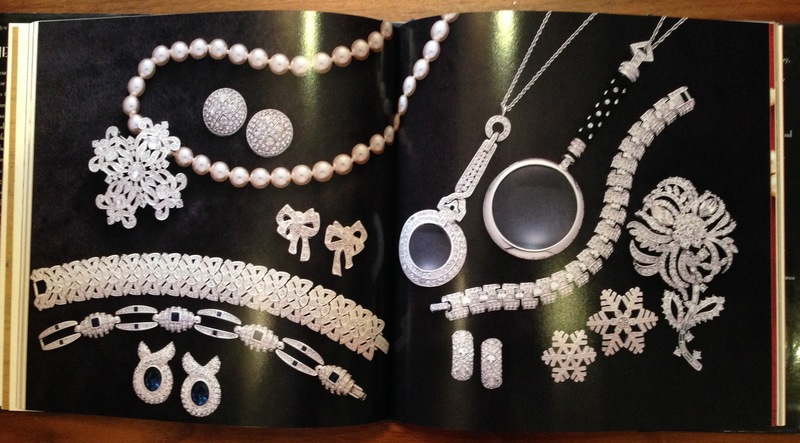 In it, she describes pieces that she has always admired, particularly those that have influenced her own designs; tells the fascinating stories of her favourite designers – from the Bulgari brothers to the magic of Van Cleef & Arpels – and takes the reader behind the scenes to show us how her jewelry is crafted from initial sketches to finished product. And here, some of CELLOPHANELAND’s collection! Beautifully made with vigorous attention to detail (Joan would literally sign off every piece) and always an absolute steal. As Joan said: “Remember, life is short. Treat yourself right, and go for the glamour!”. 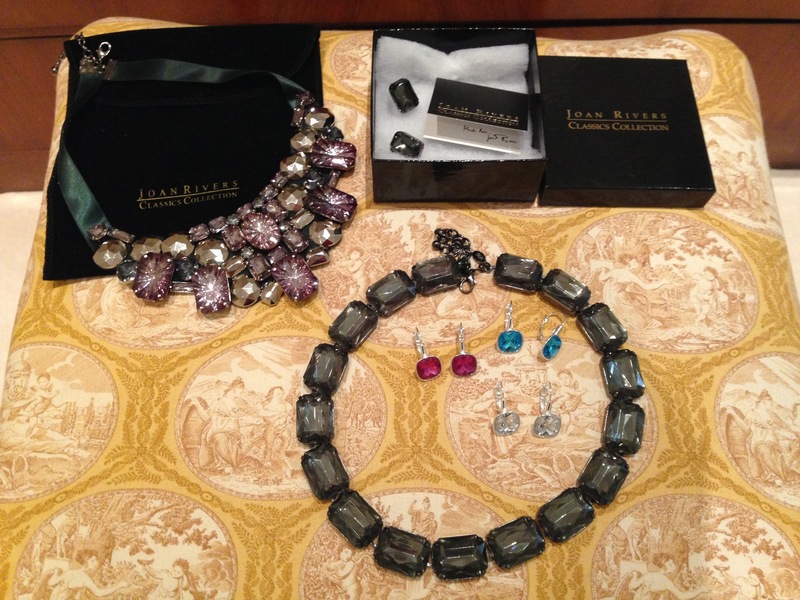 Jewelry By Joan Rivers published by Abbeville Press can be purchased here.